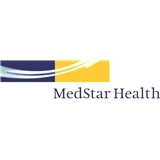 MedStar Medical Group At Lafayette Center (Hyattsville) - Book Appointment Online! Great visit. Very patient with me and my questions. Waited about an hour to get bloodwork done, but since I had a dentist appointment this same day, I didn't think it would take over an hour just to get blood drawn, so I had to leave without getting my lab work done. Now I have to take another day off to come back for lab work. Dr. Singh has good bedside manner and is competent, but the wait time for any kind of lab work is completely negligent of patient care. I would have kept waiting if not for another appointment 2 hours later but I needed to leave before I missed my dentist appointment. No one gave us an estimate of wait time and no one came in to check on us. We just sat there for an indefinite amount of time before I looked at my watch and realized I had to leave so I don't miss my next appointment. Very disappointed with MedStar Health care. Very informative, grateful I found him! No wait, pleasant doctor that's easy to talk to. Unable to resolve issue so she referred me to a neurologist but I was out of this appointment in less than 30 minutes. Everything was great, Dr. Lugerner was very kind and easy to talk to. Absolutely brilliant. Makes you feel comfortable, is very knowledgeable- sets attainable goals. Transparent and honest. I’ve been looking for a relatable, professional, primary care doctor for years — I’m so glad to have found Dr. Kennedy! His staff is super knowledgeable, helpful and friendly.